The following description is for illustration only. Each and every detail can be varied to suit the requirements of the individual guests, although, because such an activity does place a greater burden on each camp’s resources, it is better if a minimum group size of some 4-6 people can be achieved. Our aim was, ideally, to set up a circuit of 3 to 4 camps in a given region, between which the guests could transfer on foot, their baggage being taken along separately by vehicle. The idea is to spend a minimum of two nights at each camp, combining walking, game viewing by vehicle, night drives, or simply just relaxing in camp: whatever the guest would like to do. Typically the guests will arrive at the first camp, either directly from (usually) Lusaka, on arrival in Zambia, or from some other region that they have chosen to explore first. Three nights will then be spent at this first camp, principally taking vehicle-based game drives in the area (since most people, however dedicated to walking, will want to ensure some good traditional game viewing at some stage). 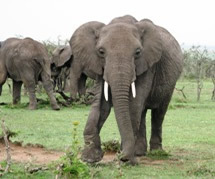 Following on from this the guests will transfer on foot to the second camp, typically some 10-20 km away. If the straight-line distance is less than they are looking forward to doing, then of course a non-direct route can be followed; if it is too far, then they can be driven a short distance out along the route, before taking to their feet. In this way a wide range of possibilities is opened up. On arrival, in late morning, before it gets too hot, they will typically take a welcome shower, before lunch. 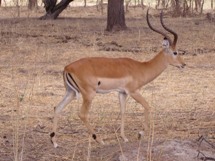 The afternoon can then be spent relaxing, until it becomes cooler, around 4.00 p.m., at which point a further short walk, out and back to camp, followed by a well-deserved sundowner or two, can be undertaken, or a game drive and night drive, punctuated by a similar, and prearranged, sundowner. 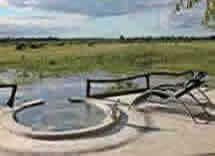 The following day will be spent in the same location, either relaxing in camp – several have their own swimming pool – taking a further out and back walk in the vicinity of the camp, or going out on a game drive. 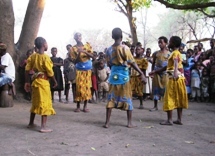 A visit to a local village is also an experience that will not soon be forgotten. Different grades of walk can be arranged in each case to suit whatever degree of exertion is desired by each guest. The above procedure is repeated until the full circuit has been completed, and each different kind of habitat within the Park visited, before travelling on to your next destination the following day. See 'Our Itineraries' for specific examples of these.